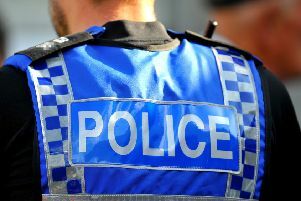 The death of a person found by a road in Northampton is being treated as ‘unexplained’, Northamptonshire Police have said. A small section of the road has remained closed and a large tent has been constructed over the scene while officers carry out investigations to establish the circumstances as to how the body came to be there. The spokesman said: “Enquiries are being conducted into the circumstances around how the body came to be there. “A post mortem will be carried out as soon as possible, and the coroner has been informed of the death. The police have also confirmed that there was no shooting incident in relation to the body being found. Melissa Bedford, who lives a short distance away from the scene, said it was normally a quiet area. Sharee Bobowicz, aged 19, who also lives in the area, said her mother was a friend of the lady whose house backed onto the scene and she had been told not to go in her garden. She said: “It is a worry I have three younger brothers and lots of kids play there so you wonder what could have happened if they found the body - they would have been traumatised. A police spokesman said the road closure between the A43 and North Holme Court will remain in place until the body has been recovered.